Today is the 45th anniversary of the release of Eat A Peach, the album that first hooked me on the Allman Brothers Band. 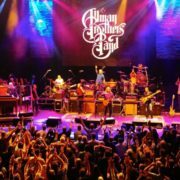 In honor of this, I offer you this edited excerpt from One Way Out: The Inside History of the Allman Brothers Band about the making of this landmark album. You can buy the paperback by clicking the link above, or order a signed copy of hardcover or paper by clicking here. 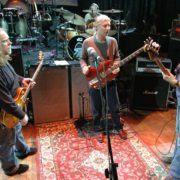 After the release of At Fillmore East and before it’s gold certification, the band entered Miami’s Criteria Studios with Dowd to work on their third studio album, which they had begun the previous month by laying down the initial tracks for “Blue Sky,” Betts’ sweet, country-tinged tune, which would be his first vocal with the band. TOM DOWD: They only had a few songs ready to track and we never wrote in the studio. That was one way we saved money on studio time. DICKEY BETTS: I wrote “Blue Sky” for my then-wife Sandy Blue Sky, who was Native American, but once I got into the song I realized how nice it would be to keep the vernaculars — he and she — out and make it like you’re thinking of the spirit, like I was giving thanks for a beautiful day. I think that made it broader and more relatable to anyone and everyone. That was a bad marriage but it led to a good song. 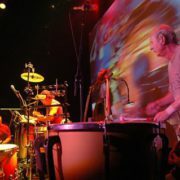 BUTCH TRUCKS: Dickey wanted Gregg to sing “Blue Sky” and Duane just got all over him. He said, “Man, this is your song and it sounds like you and you need to sing it.” It was Dickey just starting to sprout his wings as a singer. The band worked on three songs — “Blue Sky,” an instrumental track tentatively called “The Road to Calico,” which would eventually have vocals added and become “Stand Back,” and “Little Martha.” The latter, a sweet, lilting Dobro duet, was the only composition ever credited to Duane Allman. 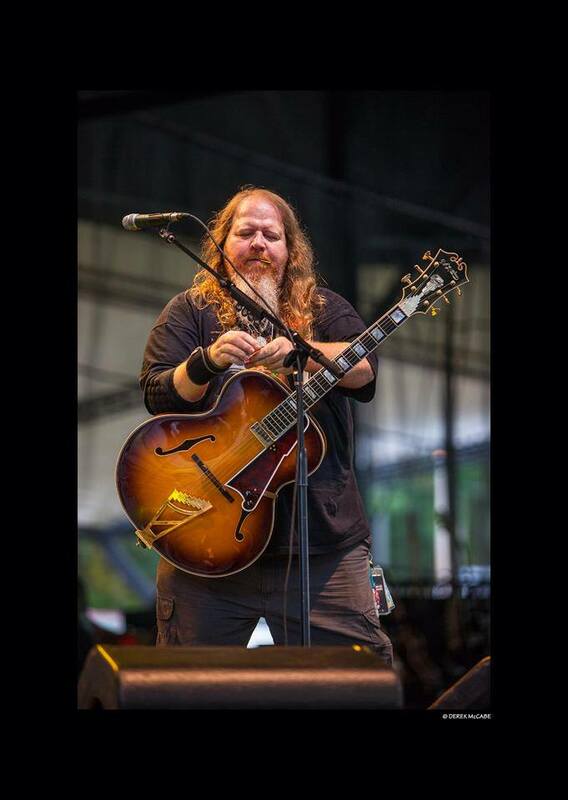 BETTS: Duane and I played acoustics together all the time backstage and in hotel rooms and buses. 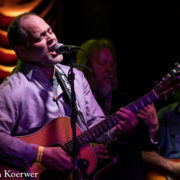 Duane usually had his Dobro, I had a Martin and Berry had a Gibson Hummingbird. The three of us spent plenty of time sitting around playing blues — Duane loved Lightnin’ Hopkins and we both loved Robert Johnson and Willie McTell. We also worked out things for our own songs. “Little Martha” was not all typical of what we played — it sounded more like something I might do, really — but he had shown us pieces of it for years, so it wasn’t a shock. 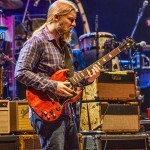 ALLMAN: My brother loved playing that kind of stuff, and I have to think there would have been more music coming out of him. He put “Little Martha” together piece by piece. Betts’ insistence on this title is at odds with what most others believe; that “Little Martha” is named in honor of Martha Ellis, a 12-year-old girl buried in Rose Hill, with an eerie late 19th century statue atop her grave. TRUCKS: Until that time I had always been sort of the lead drummer in the studio, but “Stand Back” was a perfect song for Jaimoe because it was this funky r&b style he’s so good at and I said, “You play the drums on this. I’m not even going to play.” Jaimoe took the lead. JAIMOE: “Lead drums?” I don’t really call it that. What I was playing fit the song more than the kind of feel that Butch plays. It was a simple, funk thing that fit what I was doing. There’s a lot of things that maybe he shouldn’t have played on, but that kind of decision wasn’t made. There’s always a positive and a negative to everything you do, so what’s the sense of even bringing this kind of stuff up? Well, it might be interesting for people listening to us to know these things, just like Miles Davis or Elvis Presley, or anyone else people listen to and care about. NOTE: There is no easy way to summarize the next chapters of the book, or of the band’s history, but here goes. After finishing those three songs in about a week, they took a break and returned to the road, ending a short run of shows on October 17, 1971 at the Painter’s Mill Music Fair in Owings Mill, Maryland. Then, with most of the group struggling with heroin addictions, Duane, Oakley, Red Dog and Kim Payne checked into rehab in Buffalo, NY. Duane returned to Macon on October 28, 1971 after a stopover in New York City. The next day, he was killed in a motorcycle crash. The details of the Buffalo rehab, the New York visit, the last day in Macon and the horror, shock and pain of Duane’s death are all important, and if you don’t know them well, I urge you to read up in One Way Out. 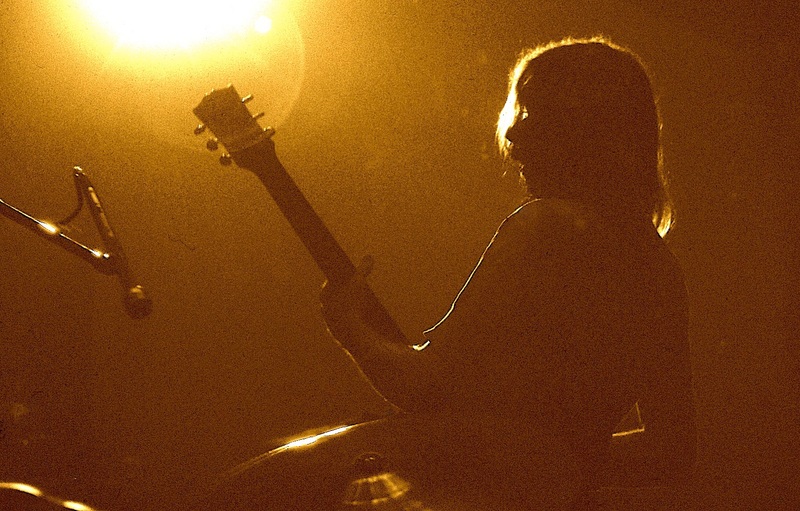 For the purpose of our Eat A Peach story, let’s say that no one knew what would come next and it was equally impossible to imagine the band continuing without Duane and ending right there. The band took a short hiatus before regrouping, gravitating back towards each other and immersion in their work. They committed to fulfilling previously scheduled dates in New York. Their first appearance without their leader was at CW Post College in Long Island on November 22, 1971; it was exactly three weeks after Duane’s funeral. In December they returned to Miami to work on the album. Our story continues there. 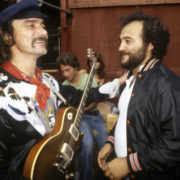 The band recorded four more outstanding tracks with Dowd, including “Melissa,” Betts’ instrumental “Les Brers In A Minor” and “Ain’t Wastin’ Time No More,” Gregg’s defiant response to his brother’s passing. 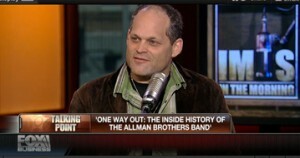 ALLMAN: I wrote “Ain’t Wastin’ Time No More” for my brother right away. It was the only thing I knew how to do right then. BETTS: When I wrote “Les Brers” everyone kept saying they had heard it before, but no one could figure out where, including me. 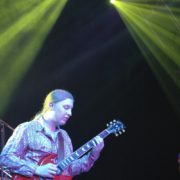 But it’s in my solo on “Whipping Post” from one night. It was just a lick I was playing in there, and years later it showed up in a bootleg, which was kind of amazing. I mean, none of us knew where it came from until that tape surfaced years later. It just sounded familiar. DOWD: When we recorded At Fillmore East, we ended up with almost a whole other album worth of good material, and we used [two] tracks on Eat A Peach. Again, there was no overdubbing. SANDLIN: I think Tom had to work with Crosby Still and Nash. I went down to Miami the last day Tom was still working on it, and sat with him, and he showed me what he was doing and discussed some aspects of recording. As I mixed songs like “Blue Sky,” I knew, of course, that I was listening to the last things that Duane ever played and there was just such a mix of beauty and sadness, knowing there’s not going to be any more from him. POWELL: That was really a cooperative venture between Jim [Flournoy Holmes] and I, completed with almost no planning or discussion. We were working on a large piece of illustration board, on a one-to-one scale – it was the size of the actual spread – and we just started drawing, with Jim’s work primarily on the left and mine on the right. This work was profoundly influenced by [Hieronymous] Bosch. 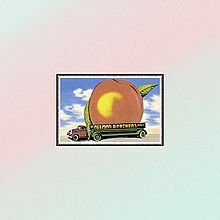 Eat a Peach is one of my favorite Allman Bro’s albums. I’ve spun that record too many times to count. Every single song is beloved. Tedeschi Trucks Band announce Live DVD and album – info and videos A Tribute to Butch Trucks 3/1/17: thoughts, photos, videos.